Furniture Chelsea is your one-stop if you are in the search of a stylish and practical side table. We offer a great selection of elegantly designed side and end tables that capture the latest trend and keep your space up-to-date. We make it easy for you to choose the right end table by offering you a great selection. From modern and contemporary tables to classic and rustic tables, our table collection can help you add style and functionality to any space. Our end and side tables offer a great place to put decorations and plants, and you can even use them as a place to put your TV remote, mobile phones or favourite books. 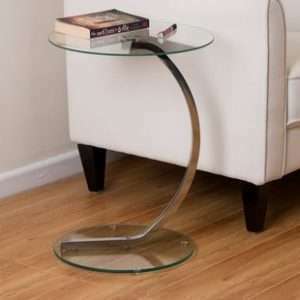 We stock side or end tables in a wide range of materials, shapes, sizes and finishes. If you want a little extra storage space, we have end and side tables with storage, like drawers or shelves. Show off your favourite décor or keep drinks, remotes, and reading close at hand with our smart end or side tables that suit your space.